British diesel innovator Cox Powertrain joins Swedish distributor Diesel Power this week at the High-Speed Boat Operations (HSBO) forum to discuss final concept details of its new CXO300 diesel outboard engine ahead of its launch later this year. Originally developed for a British Military of Defence (MoD) development contract, the CXO300 will be of great interest to visitors of the conference, which attracts delegates from many of the world’s law enforcement, military, special forces and rescue agencies. 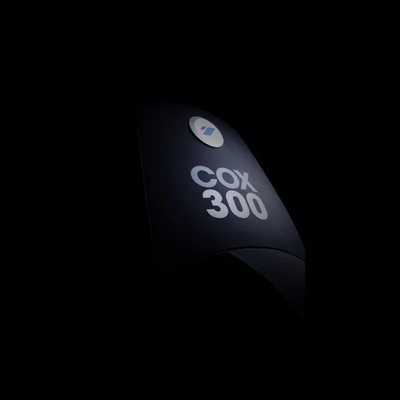 Built for professional marine use from the ground up, the CXO300 is the highest power density diesel outboard engine ever developed, Cox Powertrain said. With a 25 percent better range and longer service intervals, it has been designed to live up to three times longer than an equivalent outboard engines. It has a 100 percent higher peak torque at the crankshaft than the leading gasoline 300hp outboards and is 60 percent higher compared to a leading 350hp. This enables craft to move more weight more efficiently, reach peak torque and top power more quickly. NATO’s single fuel policy, which aims to cut the use of gasoline-driven equipment in favor of diesel engines. is also significant factor for many operators and the introduction of a viable diesel outboard, such as the CXO300, will be transformational for professional users of fast response vessels.